A first for Afrikaans film is seeing the light in the form of an honest Comedy Drama called Somer Son. 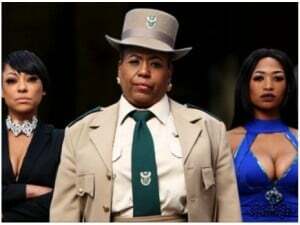 The producer stressed that this is not just another candyfloss Romantic Comedy and what makes this film truly unique is that it's South Africa's first ?Green Film'. With the uncertainty of Eskom, filmmakers will soon realize that this is not just a fantastic PR exercise but saves production costs and can be a viable option in the long run. Somer Son tells the story of a thirty something couple that decided to break away on a last gasp holiday to Mozambique in an attempt to get their marital spark back. Pieter and Sonja (played by Reynard Slabbert and Juanita De Villiers) still love each other, but question their relationship. Sonja feels the fact that they can't fall pregnant is a sign that the relationship is in serious trouble. Pieter had a vasectomy because he chose to focus on his career as a successful lawyer but keeps this dark secret from Sonja. A dream holiday in paradise might be the answer? but an accident along the way sends them on an unexpected adventure.